Chronic digestive complaints characterized by poor appetite, abdominal distension, accumulation of phlegm and food matter, nausea, acid regurgitation, abdominal gurgling, loose or erratic stools. 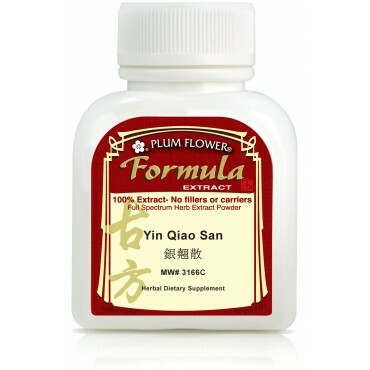 Also chronic gastritis, duodenal ulcer, chronic hepatitis and morning sickness are some of the imbalances satisfied clients have used this product for. Regulates Qi in the Middle Jiao, Harmonizes the Stomach, Descends Stomach Qi, Drains Dampness, Transforms Phlegm, Eliminates Food Stagnation, Tonifies Spleen Qi, Soothes the Liver, Promotes Digestion, Stops Vomiting. 3 grams, 3 x day or 4-5 grams 2 x day or as directed by your wellness coach. 100 Grams. Atractylodes macrocephala rhizome, Poria cocos fungus, Codonopsis pilosula root, Pinellia ternata rhizome, Citrus reticulata peel, Amomum longiligulare fruit, Aucklandia lappa root, Glycyrrhiza uralensis root, Ziziphus jujuba fruit, Zingiber officinale rhizome-fresh. - Bai zhu, Fu ling, Dang shen, Ban xia, Chen pi, Sha ren, Mu xiang, Gan cao, Da zao, Sheng jiang.